Milia are cysts that are filled with keratin, found near the eyes, cheeks, forehead and the nose. They are caused by dead cells which build up and clog the pores. 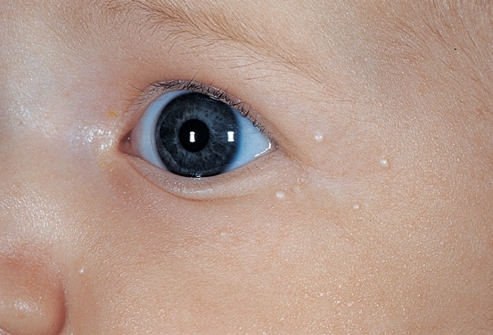 Infants get milia at birth and they usually clear on its own. Milia usually do not cause any pain or discomfort, but for adults they can affect their self-image. 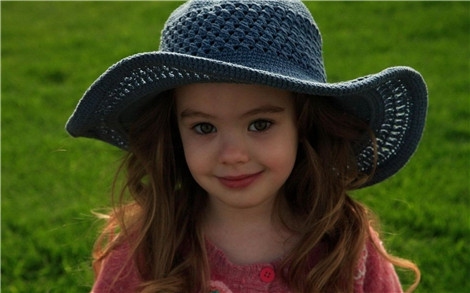 And if adults get milia, treatments may be needed. Many natural home remedies for milia can help reduce its appearance. Read on to learn more about home remedies for milia. 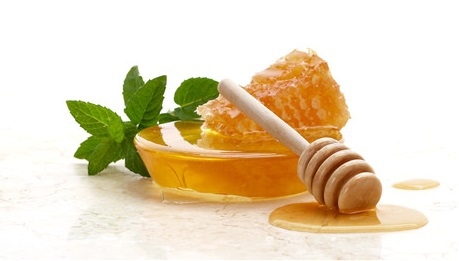 How It Works: Honey is an excellent moisturizer for your skin. It is also a great antioxidant. You can mix in other things to make a scrub that cleanses your skin to help milia disappear. You can apply honey straight out of the jar onto your skin. Allow it to stay on up to 15 minutes then rinse. You can do this every day until the milia begin to clear up. Mix 2 Tbsp. honey and in 1 Tbsp. Jojoba oil well. Apply to your skin and rinse after 20 minutes. Do this every day or 3 to 4 times weekly. Mix together 2 Tbsp. honey, 3 Tbsp. oatmeal and 1 Tbsp. sugar. Scrub with the mixture for a few minutes and rinse. Do this a few times weekly until the bumps disappear. 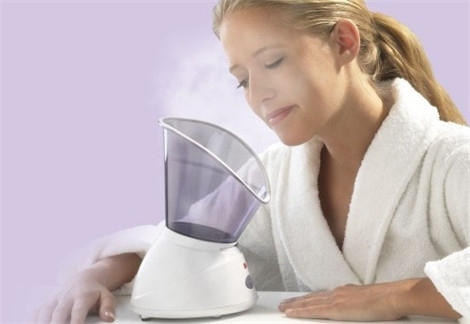 How It Works: Using a face sauna can help to unclog the pores and loosen debris. It can also help to get rid of dead skin cells. Run sink water until it is steaming hot. Moisten a towel and wring out. Use the towel over your face until it cools. Repeat a few times. You can do this every day for a week or two. Boil a pan of water and place on an oven mitt on a sturdy table. Lean over the pan and cover your head with a towel. Sit there for up to 15 minutes. Then apply a good moisturizer. 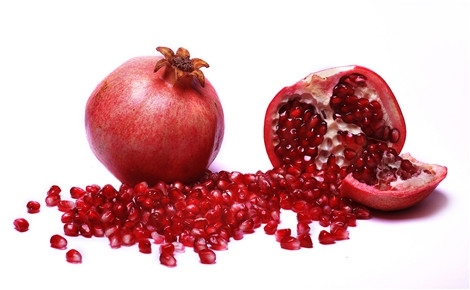 How It Works: Pomegranates contain high amounts of antioxidants, vitamin C and can exfoliate the skin. Not only is it effective for milia, but can also help with cases of acne. How to Use: Take pomegranate peels and roast them until they are toasty brown. Crush into a fine powder and mix in lemon juice. Apply to your face and allow to remain for up to 20 minutes. You can do this a few times weekly. How It Works: Mixing rosewater and sandalwood powder can help remove extra oils, clean the pores and reduce the appearance of milia. How to Use: Place 2 Tbsp. 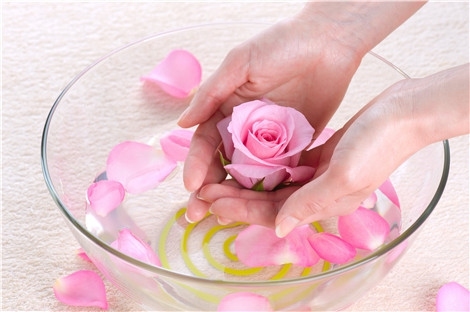 sandalwood powder in a bowl, drop in rose water and stir to a paste. Apply to your face and allow to stay on for up to 15 minutes. Rinse skin and pat dry. You can do this treatment every day. 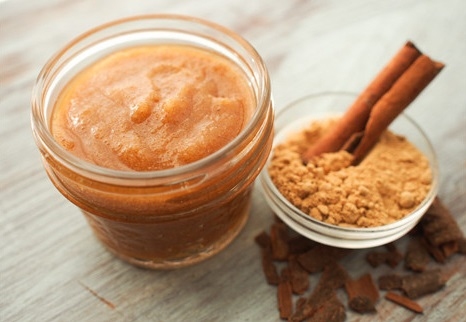 How It Works: Sugar scrubs are an excellent way to exfoliate the skin. Using a touch of lemon juice for astringent and olive oil to moisturize can help tone and give the skin a flawless glow. How to Use: Place 2 Tbsp. sugar in a bowl and squeeze in juice from ¼ to ½ lemon and mix. Apply to your face and scrub. Allow to remain on your skin then rinse. You can do this 2 times a week. 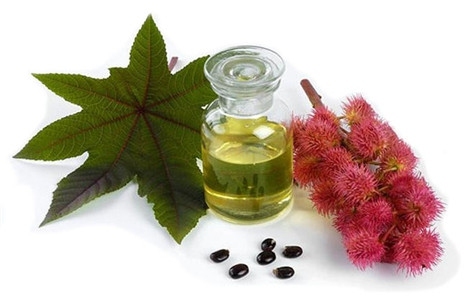 How It Works: Castor oil is one of the lesser known home remedies for milia, but really works. Not only is castor oil a great moisturizer, but it is a natural antibacterial agent. Contrary to what you may think, this type of oil actually reduces natural oil production in the skin. Use ½ Tsp. Castor oil directly on the skin as a moisturizer. You can use it every day. Take ½ part Castor oil and ½ part olive oil, mix and apply to the skin. Put about 1 Tsp. baking soda in a bowl and add in 1 Tsp. castor oil. Mix well and apply to skin. Allow to soak in well for a few hours then rinse. You can do this once a day for up to 2 weeks. 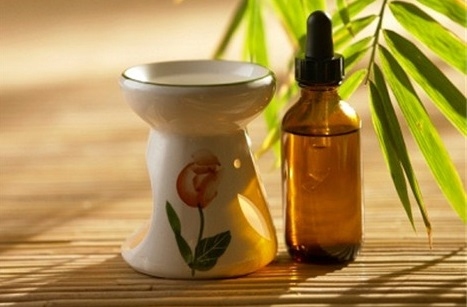 How It Works: Tea tree oil is a natural antibacterial, antifungal and clears your skin of infections. Even though it is oil, it has been found to actually dry the milia. How to Use: Wash and dry your face. Apply tea tree oil to the areas that have milia. This is best if you do it before bedtime every night. Give your face a splash of water when you wake up. 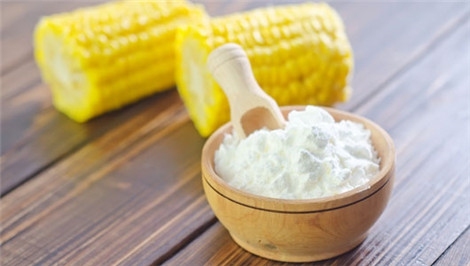 How It Works: Cornstarch is a very absorbent substance and helps to keep moisture off the skin. Vinegar is a natural astringent and mixed with cornstarch can help dry up the type of milia that look like whiteheads. How to Use: Place about 1 Tbsp. of cornstarch in a bowl, add in 1 Tsp. (apple cider) vinegar and mix into a paste. Apply to skin and allow to stay on up to 30 minutes. Wet a washcloth with warm water and take paste off. Rinse with warm water. Do this every day to reduce bumps. 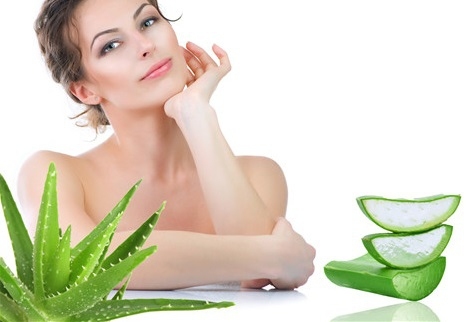 How It Works: For centuries, aloe vera had been used as a healing salve for the skin. It contains natural antioxidants and it can help open clogged pores. Apply a dab of aloe vera gel to the areas affected by milia and massage the gel into the skin. You can leave it on while you sleep and rinse in the morning. It only takes a couple of days to see improvement. Mix the gel with an equal amount of green tea. Apply to skin and leave for up to 15 minutes then rinse. Try this around your eyes for improvement of milia and dark circles. Even though makeup is great for covering things up, try not to do this with milia. Heavy makeup can clog the pores and make the condition worse. If you use makeup, wash your face and exfoliate as soon as you get home. Excessive sunlight can make milia more prominent. Getting sunburn can spread milia all over the face. Reducing your exposure to the sun can help milia to away quicker. Use a good sunblock if you must go out in the sun or wear a good hat. Some cases of milia will clear up without any treatment. Try not to scratch at them, pick, or scrape them off. Try the above treatments and just be patient. Server responsed at: 04/25/2019 12:19 p.m.